The broad failure of marketers and advertisers to follow established native advertising best practices–or even to truly understand the consumer experience–has been giving native ads a bad rap lately. Just ask comedian John Oliver, who recently devoted 11 minutes of his HBO show Last Week Tonight to a scathing critique of in-feed sponsored content. And many consumers are right there with him, with 2/3rds saying they’ve felt deceived by native advertising, and 59% unable to even recognize it in a news feed. The core of the problem is the persistent belief that click-through rate alone should be the performance metric for digital advertising campaigns. Because native ads have such a dramatically higher average CTR than traditional display ads (49x higher, in the case of Facebook), advertisers who prefer to gauge success using CTR will naturally throw everything they’ve got at in-feed content. Or S.H.R.E.D. S.P.A.M., if you’re a fan of acronyms (and honestly, who isn’t?). This is one area where native advertising best practices turn traditional advertising philosophies on their head. While digital display ads should be eye-catching and high-contrast compared to the publisher, native ads should blend in. According to a recent report from Polar, native campaigns that are subtle and visually cohesive with the publisher perform far better. A subtle label font color performs 79% better than a strong color. Fonts that blend with the publisher’s style perform 64% better than those that don’t. 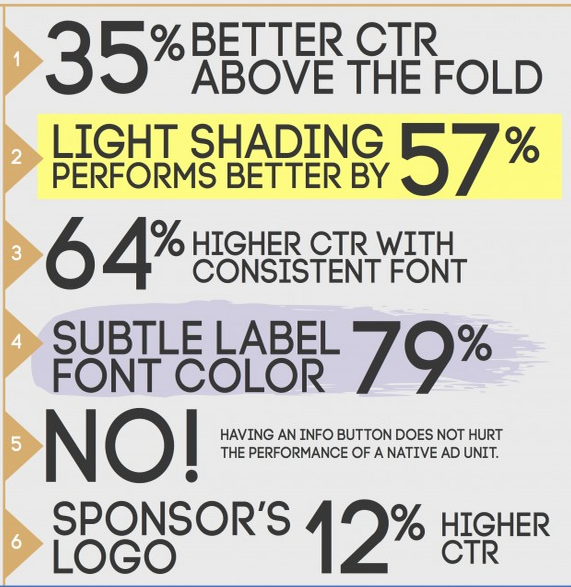 Native ads with light shading perform 57% better than ads with high-contrast back grounds. There are no shortage of articles out there about how to compose a catchy headline, and Polar’s research shows that the same best practices apply to native ads. As with email marketing campaigns and blog posts, in-feed sponsored content pieces with numbers in the headline tends to get double the CTR compared to headlines without numbers (notice how this post isn’t called “Some Native Advertising Best Practices”). On a psychological level, numbers promise a degree of structure and predictability to a piece of content, reducing the reader’s anxiety about clicking on it. In addition, Polar found that headlines between 60-80 characters in length performed best. Across the board, native advertising studies are reporting the same thing: the most important success factor is contextual relevancy. 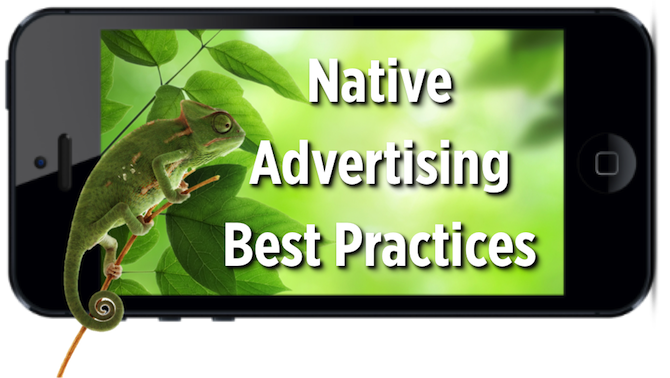 Native ads must serve the consumer first and the brand second, a fundamentally different approach compared to more direct forms of advertising. The content cannot be a simple sales pitch or an artless regurgitation of brand messaging—consumers expect to receive content they actually care about, based on the context of where it is appearing. Native ads on an entertainment news site, for example, should link to legitimate news and interesting information about the entertainment industry. 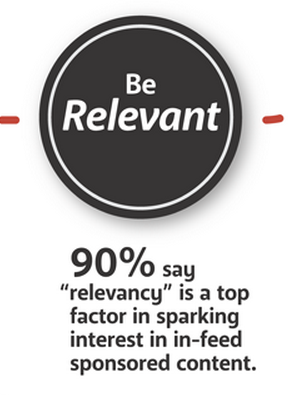 82% of the respondents to the IAB’s recent consumer survey on sponsored in-feed content cited “subject matter expertise” as a critical factor in how they responded to native advertising. At an execution level, here’s what that boils down to: Don’t use your content as a soapbox to make aspirational marketing claims, use it as a resource for consumers to make informed decisions about their purchase. Share data, case studies, and anecdotal experiences to make your case. In other words, don’t “sell.” Educate. 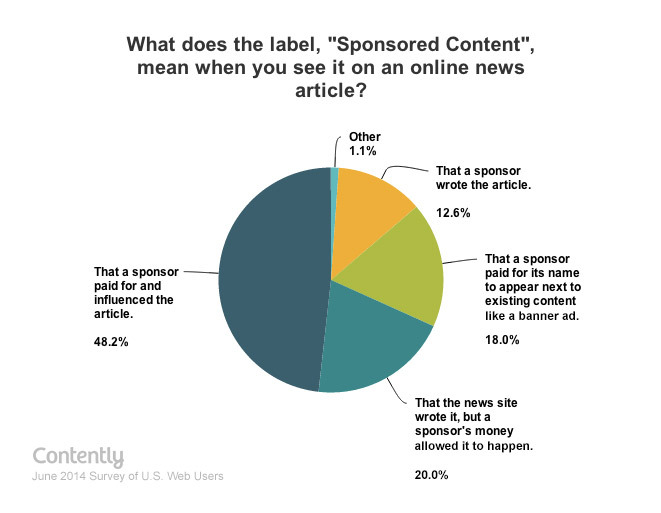 Here’s where the biggest discrepancy occurs between advertisers and consumers. In the minds of virtually all advertisers, they are following proper disclosure by clearly labeling native ads with terms like “sponsored articles,” or whatever the publisher decides is appropriate. But this minimal approach is proving insufficient–a recent report from Contently indicates that a substantial percentage of consumers have no idea what these terms even mean, and as a result they are frustrated when they click on a link and are redirected to promotional content. Though a large portion of the responsibility for this falls on the publisher, advertisers must still take every precaution to ensure that their content does not mislead the public. It’s not just a question of ethics, either: Polar’s data shows that native ads where the sponsor’s logo is clearly visible perform a solid 12% better than ads without logos. Again, this isn’t so much “native advertising best practices” as it is general content best practices–but the nature of in-feed sponsored content lends itself to powerful storytelling even more than traditional advertising channels, where the expectation is that the narrative must revolve around brand messaging. The iab reports that 60% of consumers prefer sponsored content that tells a relatable human story. Unlike display ads, which can more or less stand on their own, the value of a native ad is only as good as the publisher it appears on. The iab consumer report cites a 33% boost in response to native ads appearing on “credible” apps and websites. For publishers, the inverse is true: Contently reports that 2/3rds of consumers lose faith in reputable publications that promote sponsored content. The long-term effects of this lost credibility are important to take into account when developing a native advertising strategy. While consumers have come to expect a certain degree of razzle-dazzle with traditional advertising formats (how many people out there actually believe a Big Mac looks the way it does in a McDonald’s TV commercial? 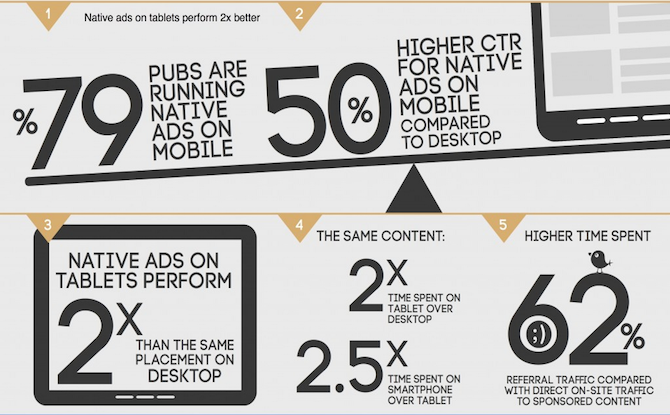 ), they are severely less forgiving when it comes to native ads. “Err on the side of transparency,” says the iab. This is good news for established brands, and bad news for advertisers looking to build initial awareness about a product. Consumer receptiveness to sponsored content relies on pre-existing trust and credibility. 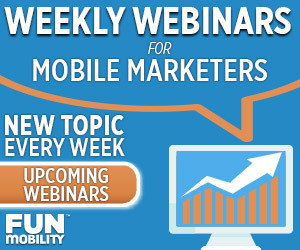 Yes, I know this sounds biased coming from the blog of a company like FunMobility, but it does makes sense, and the numbers back me up: native advertising is substantially more effective on mobile devices than it is on desktop. Dwell time for identical sponsored content is between 2-2.5 times longer, and CTRs average 50% higher, according to Polar’s research. This isn’t surprising, considering that the vast majority of social media is now consumed on mobile devices, and social media is now also the primary vector for editorial content on the web.